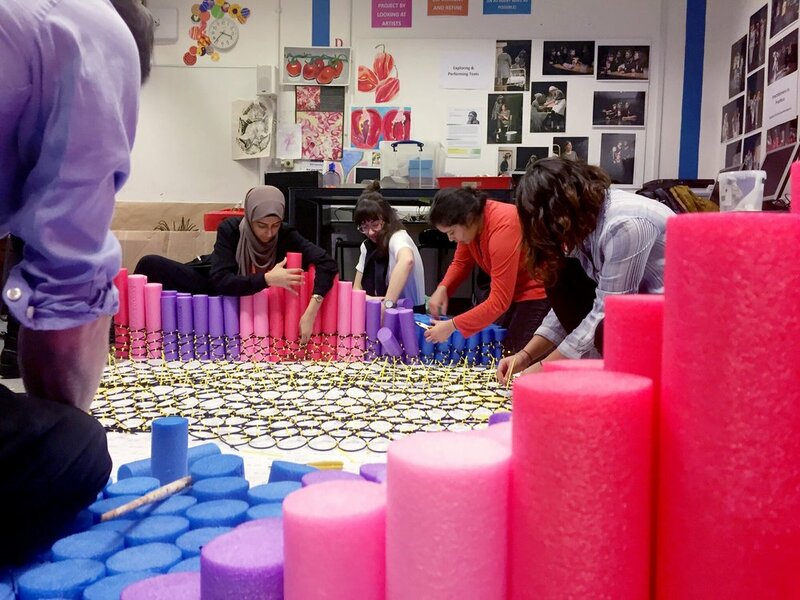 This workshop explored the use of pool noodles to construct a social seating landscape for Clapton Girl’s Academy. The students spent the morning learning about unconventional public seating which moves away from the typical seat or park bench and towards a landscape which encourages social interaction. Each student then began to construct repeating modules from cable ties which were then connected together to form the base grid for the landscape. The students spent the afternoon arranging and securing the pool noodles into the grid they had constructed to form the social seating landscape for their schoolyard.